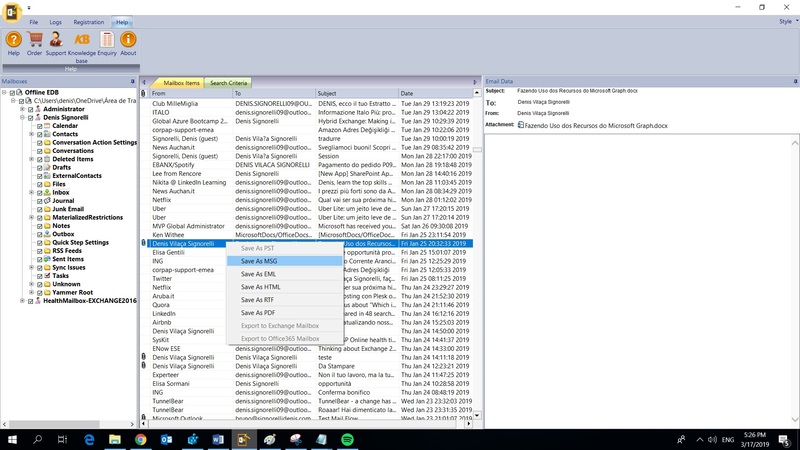 Stellar Repair for Exchange repairs corrupt Exchange Database (EDB) files & restores mailbox content like emails, contacts, calendars, tasks, public folders, etc. 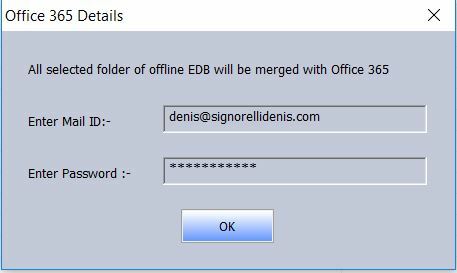 Let’s imagine a situation where the Exchange database (.EDB) goes in Dirty Shutdown state due to a disk corruption reason. 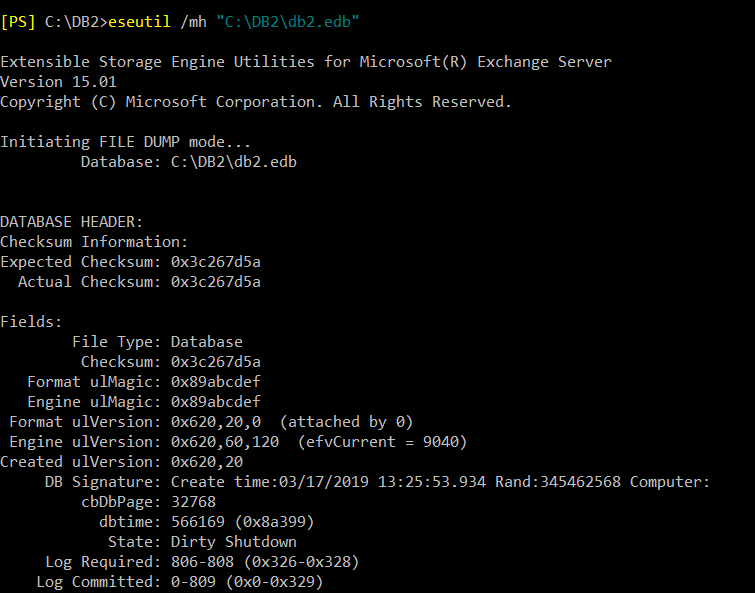 To perform a database repair using Exchange built-in tools, there is the good old ESEUTIL. However, using it in most cases is complex because at the same time it makes the database repair; the process can take too long to finish. This situation forces us to create a temporary database for users and makes a procedure that we call Dial Tone Recovery. The last step is merging the data between the temporary database (Dial Tone) and the database containing the data (which has been corrupted). Using Stellar Repair for Exchange, this process becomes much easier. 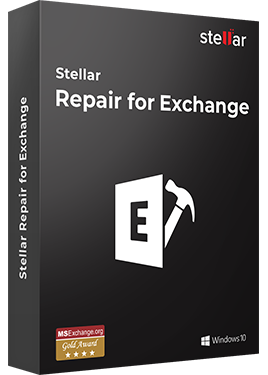 Besides, Stellar Repair for Exchange performs an advanced and robust repair; it also gives us the option to export the mailboxes in PST. 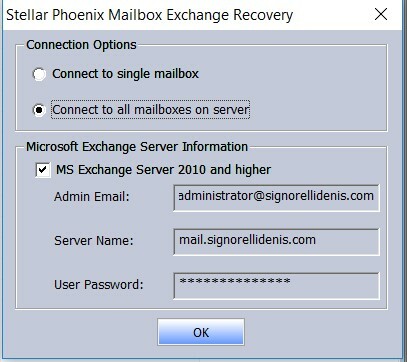 Another common scenario in which we can take advantage of Stellar Repair for Exchange is when we need to restore some mailbox, folder, or even just a specific e-mail. Stellar gives us the option to perform a restore in several formats such as: PST, MSG, EML, HTML, RTF and PDF. 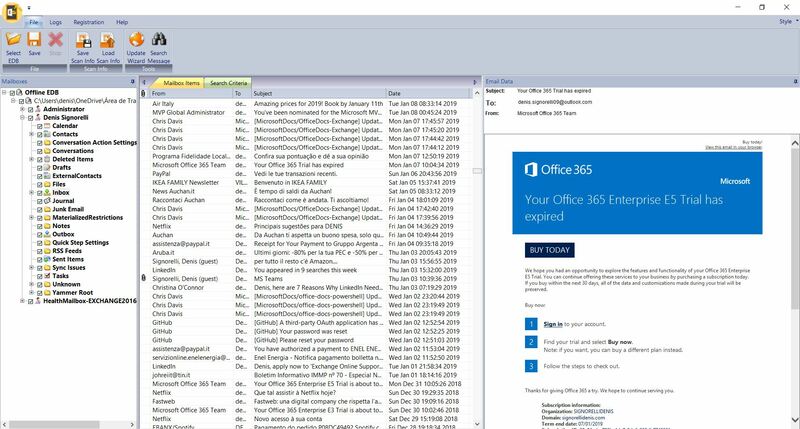 The restore itself can be performed with the whole mailbox or just granular as you wish. 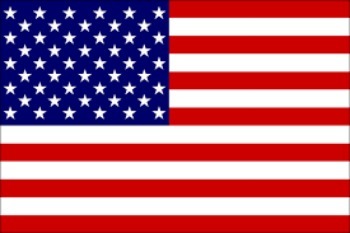 A third possible scenario is when we no longer have Exchange in our organization. 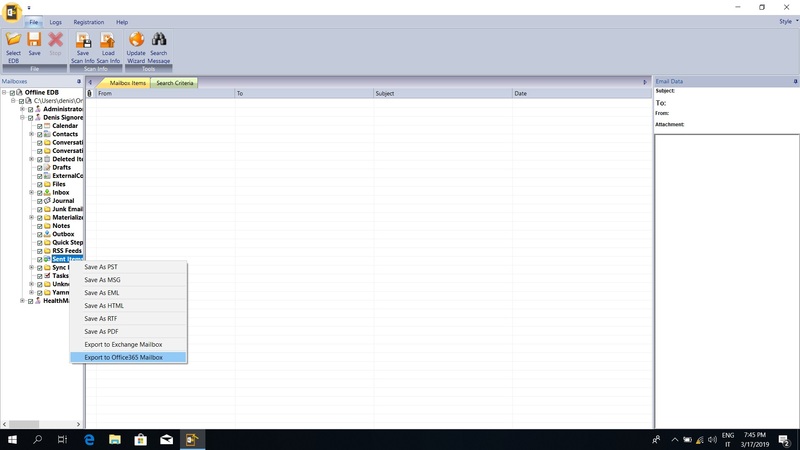 Cases where we only have the database backup saved, and we need to recover some email within that database. In this scenario, Stellar can be extremely useful for retrieving the required data. 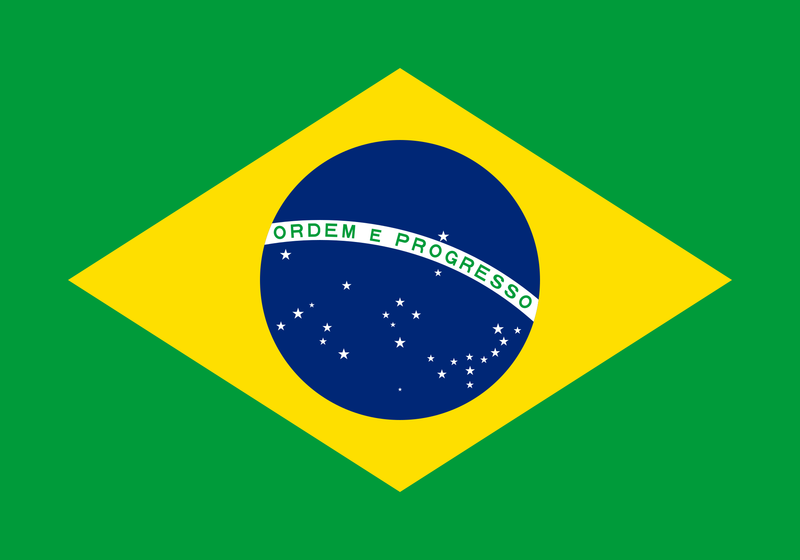 The export procedure is the same for .PST format. 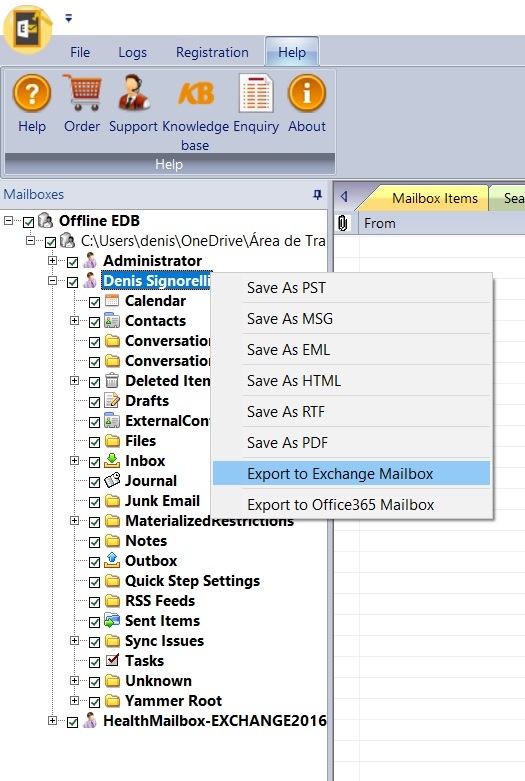 However, the product allows only the whole mailbox or a folder to be exported as .PST. 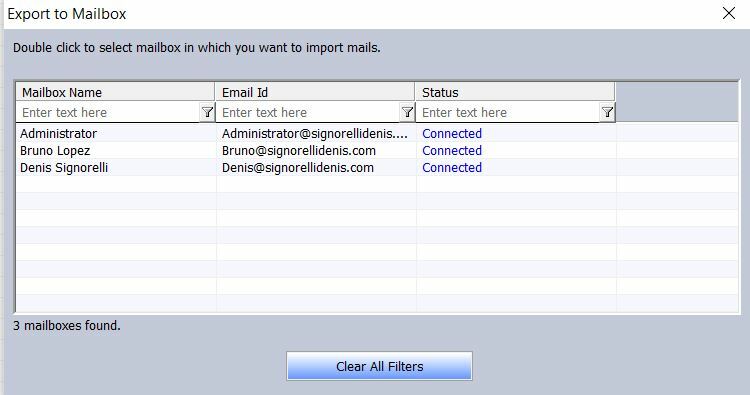 Note: In order to show the available mailboxes as “Connected”, the administrator credential must have Full Access permission in the mailboxes. Otherwise, the status will show as “Disconnected”. Stellar is an easy-to-use tool, at first it seems like it has few options, but in fact all that we need for EDB recovery and restore is within this tool. The product is very stable, provides a simple and intuitive user experience, and the most important, it fulfills its intended purpose. Besides, you can test the repair with the trial version before purchase the product.